German gynecologist; born at St. Petersburg April 12, 1860. Studying at the universities of Munich and Heidelberg, he graduated as doctor of medicine in 1887. During the following two years he was assistant to Kehr in Halberstadt, later to Martin in Berlin. In 1893 he established himself as a physician in Heidelberg, and became privat-docent in gynecology at the university. In 1897 he was appointed assistant professor. 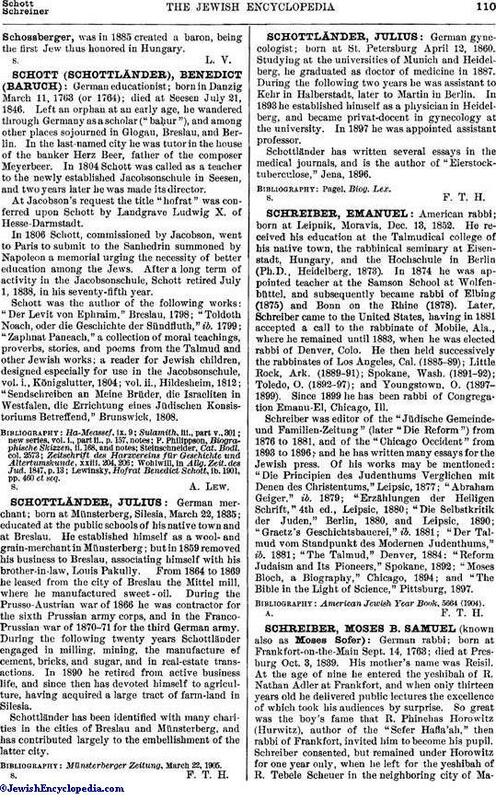 Schottländer has written several essays in the medical journals, and is the author of "Eierstocktuberculose," Jena, 1896.